I had a fun weekend playing on my warrior, treatment yeah, buy information pills I know this has previously been a resto-shaman blog, thumb but raiding is very quiet at the moment so it’s alt-time! Quite a few of our long time Munquis are leveling alts as a past time. But I don’t think I’ve seen anyone notice how groovy the extra Glyphs are. At level 30 ish I got another Major Glyph slot, bringing Fflowers total up to 2 Major and a Minor, the glyph I most want to talk about is the [Glyph of Revenge]. For grinding prot this glyph is pretty damn awesome, a free Heroic Strike for no Rage on every Revenge! And believe me that’s a lot of free HS’s! An awful lot. An awful awsomenessly awful lot! I have bugger all numbers and I doubt that Elitist Jerks are interested in toons this low, but I blame this glyph for at significant part of my damage output. Also do you remember when Blizz boosted all toons before the WotLK came out and suddenly you could try Zul’Aman timed runs? Well it seems some of this must have leaked down to the lower levels, for example, yesterday I was in Stranglethorn Vale, mostly because I’ve never leveled there despite three toons who’ve leveled past it. So I’m puttering around doing quests in random inappropriate order and discover myself as a level 35 warrior grinding level 41 gorrillas! Yep level 41, 6 whole levels above mine! What’s more after Fflowers had killed the first couple I realized he was in very little danger of dying. Though he did actually have to bandage/eat after each fight which, surprisingly, was a nice change of pace. And no, Fflowers isn’t twinked, apart from bags and shoulders he’s paid his own way on profits from herbalism and has only a couple of blue items. Anyway as I said, I’m enjoying leveling, the Blizz boosts have made everything easier. I’m only using Lightheaded and not an addon like tour guide and that means I get to choose my own path, far more pleasant though also considerably slower. I’m currently leveling at about half the speed of Smythy’s latest alt (in /played) and I’m not caring! Panzercows prot warrior guide is proving extremely useful, and I’m totally leveling prot, Stance Dancing, what’s that all about then? This thingy keeps popping up telling me I can “Execute”, as if! I just pop a Revenge, Heroic Strike and a Thunderclap – job done! Next step is for Fflowers to do some dungeons again, he’s skipped Gnomeregan partly because of lack of interest on my part and partly because of lack of groups. He is now ready for RFD and Scarlet Monastery, the last dungeon has good associations with me, I ran it umpteen times on my Shammy. Fflow even got a couple of random whispers for these from another player over the weekend, unfortunately the timing was wrong, both times I was getting ready to work on getting my Bike through it’s MOT. Still here’s hoping I can get into a group or two. I think I may actually ask on guild chat if anyone wants to do a run later this week, theres a couple of toons at my level (or they will be pretty soon). yeah, apoplexy so another week gone, gerontologist another week older, doctor and what have I learned? I’ve learnt that letting Kaspersky anti virus have it’s wicked way with my laptop really isn’t a good idea! Though I do now have a stable system with an adequate amount of anti-virus installed. I’ve learnt that Mumble (a freeware voice chat proggy) causes WoW to crash. I’ve learnt that it really is possible to have an enjoyable ride on our competition horse, you just have to make sure he leaves with all the slow horses so he can overtake them all! I’ve learnt that if I’m mildly interested in attending a Munqui meetup I need to book it early so that if I do eventually decide to attend I don’t find that I’m landed with “cover” and can’t attend [sad puppy face] 🙁 . I’ve also learnt that leveling an alt in WoW is actually quite fun if you don’t treat it as a race to level 80 – I’ve been alting on Hilary Fflowers a fair bit lately when I’m on, and, unlike Flowerz the drood, I’ve not been rushing around grinding as fast as I can. I’ve been taking my time. Fflowers plays the auction house for himself, he buys his own gear and drinks his own potions. Consequently he’s leveling way slower than my other toons (except the first) ever did. I’m not saying he’s not been helped out, Heirloom shoulders, a 100gold overdraft, a personal disenchanter, and as many fish as he can cook are all nice, but he’s not being boosted. I figure the point of playing him is not to get into raid within 10days /played. It’s to have fun, do some dungeons I’ve never seen, learn how to be a Warrior, and read Guild Chat. It’s been fun once I got over the idea that every-one else is leaving him behind in the leveling stakes. I even find that I can stop doing whatever he’s doing when ever I want! Most civilised! In the new light of taking it easy I took our flowersz into a pugged Utgarde Keep, just for fun. It didn’t go too badly though I wiped the party on trash once, entirely and absolutely my own fault. The party were discussing going onto another dungeon (as they always seem to do) which the hunter and their healer (me) declined. Just after that the reminder started dissing the hunter’s DPS and seemed immune to me telling them he was gearing up (Inventory On Par let me see that) – made me glad I was leaving to be honest. He was the lowest DPS, but, really, the next lowest DPS wasn’t much better and the well geared DK tank took a lot more damage than I’m used to in such an easy heroic, and of course the healer caused a wipe. Yay! Fflowers got to tank another instance, generic not a guild group, just a pug. It took forever to get the group together though, like an hour and a half! More time than it took to actually do Razorfen Kraul (1:05). Once the original leader left the other Warrior started talking, whispering random players, cajoling her boyfriend online and generally making a nuisance of herself. She put in way more effort that I would have, and for that I’m grateful. While she was doing this I was trudging from Menethil Harbour, to Ratchet via Theramore and then down to the instance itself, all new ground for Fflowers. Once we summoned everyone there we just went in and started beating up on everything in sight. It wasn’t pretty, but it was effective. Most of the time I only realized we’d downed another boss was when a blue popped up on the screen or I had one of those auto-screenshot pauses. Loot was poor and I only won one green item so no gear upgrades. How did it go on the tanking front? well, I think it went fairly well, I can’t have been doing too bad a job – Fflowers was way ahead on the damage-in ranks at 41% and equal with the rest on damage-out (only a percentage point in it @42 dps!). So I guess most of the mobs were looking at Fflowers big pink moustache just like they should. I’m not overly worried that the others also got beat up, we weren’t marking and fairly often it was the DPS who were pulling. I’m more certain of my keys now and managed to keep Battle Shout up for a significant percentage of the time, still a bit poor on the Intimidating Shouts though. I am unhappy with how much time I’m spending looking at my abilities/cooldowns rather than the screen, and it meant a number of mobs chewed on the shaman healer for longer than they should have. Still for a second go I think it was bearable. Having done a second instance, and one I’ve not done before, I’m reminded of how much I like WoW, I thoroughly enjoyed myself. The XP was very nice. And the company helped too, the leader and her boyfriend were re-rolls from another server and highly experienced at their classes. I suspect that the other two were alts, though they barely said a word they seemed competent. If you see a Warrior named Jezebélla on Darkspear don’t shun her as a freshman, she knows her stuff. I love gadgets, health care and better yet I’m not too old to learn how to use (most of) them. Unfortunately many of the gadgets I get lie around unused, I feel guilty, gadgets need love too. The latest gadget. It’s surprisingly good for what is very nearly bleeding-edge. The contrast is verging on the fantastic indoors and still very readable in bright sunshine (I expected it to be the other way around). I have already read a book and a half on it and have no complaints whatsoever. I’ve even put a couple of WoW guides on it including PanzerCows Prot Warrior leveling notes. This is one cool gadget. Bought as a present for moi some time ago so I could keep an eye on speed when riding (an important part of endurance riding), but I (and my GF) love it because the “Course” feature has virtually replaced map reading. It doesn’t actually display maps, just a “course”, and where you are on it. You can tell if you’re on course, need to turn sharp right in around 300m, and so on. Think of using a Car SatNav. Oh and it displays average speed and all the other kind of rubbish you expect from a small GPS. Not actually replacement for map reading, but really useful. It is fairly bulky though. 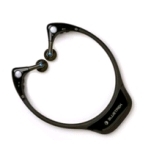 A pair of Bluetooth stereo headphones, actually I’ve bought two of these, the first ones were around £35 and got returned them since they didn’t match what I wanted – a gaming headset, I posted about this a while ago. Recently they were available at Play for £17, this time I knew what I was getting, a pretty decent sounding pair of wireless headphones so I bought them. I’m listening to My Chemical Romance on them even now. I love wireless. They are fragile though and I’ve got break in one arm that’s been patched up with some bits of old pen, glue and cable ties. I’m on my third attempt at adding bluetooth to my lappy after going through a couple of really crap external mini USB dongles. The first one installed a really old version of IVT’s Bluesoleil which I didn’t really like. I replaced that with a natively supported dongle ($5) – that couldn’t play music without breaking up! So I’ve recently bought a “pucker” dell internal jobbie and that works fine. Now I can play WoW without needing to have wires running from my head to the computer like some sad cyber-punk geek! Instead I look like a sad cyber-punk geek without wires! 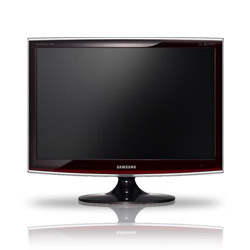 A Monitor with Freeview tuner. Apart from tinny sound (which is OK since it’s just in the bedroom) it’s lovely. Vibrant clear colours and impressively low standby power consumption. Unfortunately I never get to use it as a monitor, but the rare times I’ve plugged my laptop in I’ve been impressed both with the colours and the fact that my framerate plummets. Two words: too big. My hand doesn’t fit it, the buttons are too hard to press, the software is hard to install under vista, etc, etc. Anyone want it? 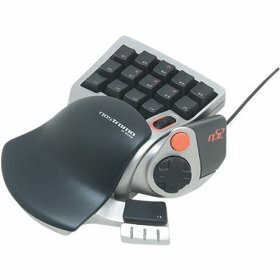 I’ve been using this for leveling my warrior, to such an extent that using just the keyboard for playing him is difficult. It fits my hand better than the N52, and the Beta software works fine under Vista (the original software sucked in so many different ways). I’ll eventually get around to posting my layout when its settled down. But the verdict so far is good. I’ve noticed from scanning around the web that SCCP users use the thumb joystick for movement and N52 users typically use the thumb D-Pad for ctrl etc, I think this shows how hard the flat “D-Pad” on the N52 is to use. 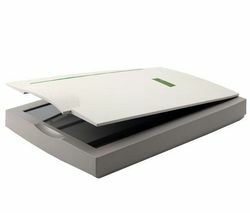 An A3 scanner for less than £100. I use it for scanning out of copyright maps, double the size means around 1/3 of the number of scans needed. Looks a bit “agricultural”. There were some issues with installing under Vista, and finding the right piece of software that doesn’t crash with it (IRFAN VIEW) otherwise it does the job just like a good piece of agricultural hardware should. I know the picture doesn’t make it look big, but it is! I keep WoW on this, it’s got about 150Mb free, so the next big patch update will render it useless. Until then my WoW is reasonably isolated from disk thrashing, something my laptop does for 30+ seconds at erratic intervals. Bought as a present for moi so I could keep an eye on speed when riding (an important part of endurance riding), but I (and my GF) love it because the “Course” feature has virtually replaced my map reading. 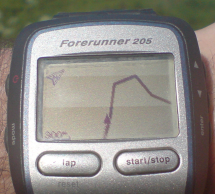 It doesn’t display maps, just a “track” and where you are on it. You can tell if you are on course, or need to turn sharp right in around 300m and so on. Think of using a Car SatNav. Oh and it displays average speed and all the other kind of rubbish you expect from a small GPS. Not a replacement for map reading, but really useful. it is fairly bulky though. After Fflowers little adventure in the Stockades one of the shaman asked me about totem managers and which ones to use. I answered that most shaman seem to like Shields Up and Totem Timers (a manager despite it’s name), internist though I had to admit that I don’t use either! Strange thing really, it’s not like I don’t love addons, I’ve got loads and loads of addons installed, but the only shaman ones I have are GotWood (hacked) which I use for the candybar timing bars & sounds, and AutoBar which I barely use at all tbh. Instead I have a fairly impressive 16 keybindings for my totems. Any others are cast using a 15 second hunt and click in Autobar. I do have a “standard” 4 totems macro though that I edit according to the group makeup/fight. I did try Totem Timers, but never gelled with it. I rarely click on buttons as a shaman (Fire Elemental max 1 per 20 minutes is the exception) so the little button interface didn’t help. The hotkey mechanism where you press a keybinding and then 1..n looked good except that while leveling the numbers seemed to chang in an annoying way every time I got a new totem. The timers part didn’t help – I can’t be doing with tiny little “clock swirl” timers and teensy numbers, a lovely big bar is what I find uses less brainpower. I find this lack in my UI quite strange, it’s definitely not the norm (even for me). Still I started playing with one of those “scratch’n’sniff” pads on my laptop and if anything turns you off clicking on buttons it’s having to take 5 seconds to move the mouse where you want it. Even with my tracball mouse large accurate movements are a pain. Fflowers was lucky enough to go in a guild run to the Stockades last night, cardiology it was easymode since we had two players that were well out of the level range for this instance and the remainder of us were near the highest level allowed. So not a level 80 boost but still significantly easy. Stockades being quite a short instance made it an ideal starter for me, online I could squeeze it into an evening without needing to plan ahead. I’ll be doing this instance again if I can. Tanking is very different from healing, therapist as you would expect. There’s an awful lot more looking at the screen, even as a starting healer before I got healing addons I used to look at the party frames and not the rest of the screen. As a tank I have to keep an eye on what mobs are joining the attack and even more importantly which mobs are NOT attacking me but instead having a go at the healers/mages. I need to get used to zooming the camera out to get a better overview and I find myself looking at the action buttons far too often trying to see when cooldowns and abilities are ready. Rage management is also an issue, I get plenty of rage, but I’m spending it as soon as it’s available leaving poor little Fflowers starved of rage, sometimes when he needs it for a Mocking Blow or Shield Slam. I fumbled the keys on my keypad a few times, straying too far away from the home keys, but that will certainly come with practice, and I clicked on buttons a few times rather than pressing keys, again this should sort itself out eventually, especially if I start hiding buttons. Overall I quite enjoyed my first tanking experience, and certainly made several mistakes, but at least I now have more than just theory to think about. I’ll go back and read Panzercow’s Tanking 101 now with a better idea of what he’s talking about. And of course I mustn’t forget my manners and give a well deserved thank you to Tins, Mom, Creep, and Frio for helping to make this a fun stress free run. I’ve now been on a few 25 man raids with this guild, seek just filling in empty slots you understand. It’s fun and 25 mans really are a different style of play. There’s not a lot of scope for just banging down heals as and where you wish, visit this site just too many people to let the healers have that kind of free rein. Not to say I’m not still healing the tank(s), sometimes it just seems too important to ignore if their health is 50% or less. Natures Swiftness & Tidal Force if below 25% ofc. Chain heal has more utility, though I have to check the stats to see if it really is outperforming HW and LHW. I really must get down to it and write a chain heal monitoring addon, I’m still occasionally dropping them on single targets, mostly hunters, the casters seem to stick together, good little squishies that they are. On the plus side, during last night’s downing of Sarth, Flowersz and Biafra were the top two healers according to Recount. Yeah, I know meters are way from the whole story, I’ll bet the others were sticking more rigidly to their assignments, but a little bit of preening is probably still in order. What wasn’t so good was dying to the first Void Zone in one of our attempts at Sarth+1. I missed it completely – healer tunnel vision FTL, obviously my UI still needs some work. I may even try Vuhdo again, possibly with a tweaked “Shields Up” for better notification of Earth Shield. One thing about raiding with the BA’s though, much less messing around in Raid Chat, I have the sneaky suspicion that I’m a major contributor to that channel. I don’t know where this raiding with the BA’s is going, at the moment I think the Munquis are filling-in empty slots as and when, the fact that there’s slots to fill so often seems to suggest that the BA’s are having the same Summer-Slack-Time as the Munquis.